Dr. John Lutz, chairperson of the English department, helped start the tradition in 2012. The common read is meant provide the freshman class with an experience allowing them to connect with their peers. “They are making a difficult transition from high school to college,” Lutz said. Group assignments and discussions will be a large part of the curriculum, and students will participate in a service project to conclude the experience. In previous years, the freshman classes have read pieces such as “Look Me in the Eye” by John Elder Robison, who came to speak to the students about his experiences, and “The Pursuit of Happyness” by Chris Gardner. 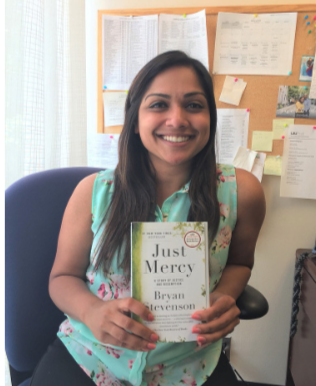 The selection for 2018, “Just Mercy,” by Bryan Stevenson, is Dr. Lutz’s favorite common read thus far. “Just Mercy” details Stevenson’s life as a young lawyer fighting for innocent people’s freedom from the criminal justice system. The author is currently involved with enacting lynching memorials in the southern United States, something Dr. Lutz appreciated. “He has done an enormous amount of good work,” he said. 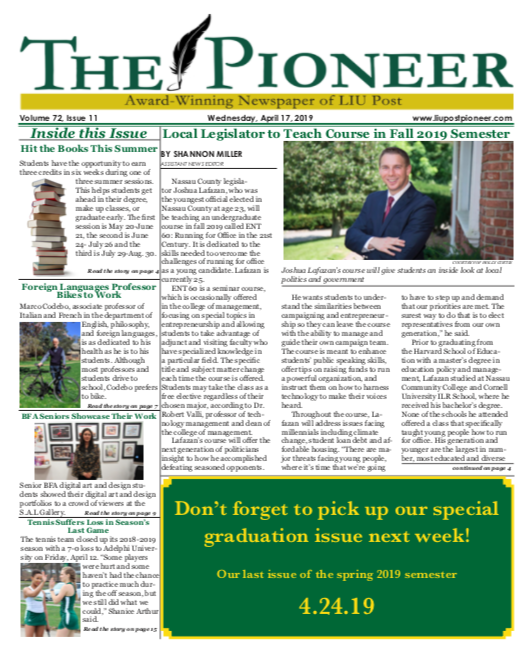 “We look for books that have some kind of relevance to the world and that are going to present students with a unique experience,” Lutz said. The committee aims to choose pieces that depict a character overcoming obstacles or encourages readers to look at the world with a different perspective. In this case, students will be asked to take a deeper look into the criminal justice system and the issues that lead to incarcerating members of society. The LIU faculty hopes this piece empowers and impacts the incoming freshman class. “[We want students to] embody good characteristics and virtues that will make the world a better place.” Ashley John, interim Director of Campus Life, said.